There are 27 reviews of Aqua Universalis. Solid citrus, musk, and florals. The Lily of the Valley accord is similar to how Jasmine affects fragrances. It reminds me of Dior Homme Cologne, and smells more expensive with the woods in the base. For a clean inoffensive smell, it can be used regularly, and in any occasion. Dress up or down, it's versatile. You just have to decide on the price point in making that choice. Dior or MFK? 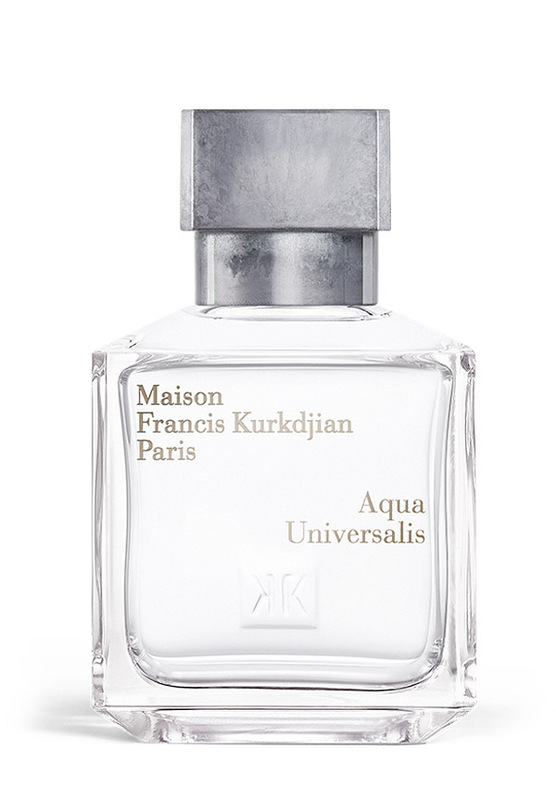 I'm liking MFK's use of musk, which I normally avoid. I'll give this one just about a thumbs up. I'll come to the reason shortly. This is a floral/citrus with soapy elements. It smells really nice. In fact quite uplifting. My issue is that this is far too feminine for me to wear. It really does smell like a Woman's perfume. Great fragrance but one I would rather smell one my wife. Very pleasant laundry-fresh fragrance. It smells like a fabric conditioner or washing powder, but costs rather more. Ideally it could, as the name suggests, be sprayed liberally in linen cupboards and around the house, as well as for personal use. I have purchased a sample or two as I like the fragrance, provided I ignore its slight resemblance to Cool Water Woman. Actually it is closer to Lily from Comme des Garcons. Thumbs up, but only slightlyAqua Universals is too much lily of the valley for my taste. I enjoy the bergamot and lemon, but the lily of the valley and musk combine to take this in a direction that is just a touch off for me. This is my signature scent for various reasons. It is the one that introduced me a couple years ago to the "niche/higher end" world of perfumes. First time I smelled it I immediately loved it because it was so clean and different...and yet it reminded me of something (might be a memory of some sort) I couldn't stop thinking about it I had to have it. For me this one changes on every occasion, sometimes it's more floral sometimes it's more citrus. Perfect for the summer weather year-round we get here where I live. I can use it day or night, any occasion, always seems to put me in a good mood. My most complimented perfume I have.., would consider it a safe blind buy. Go out and try it if you haven't yet. 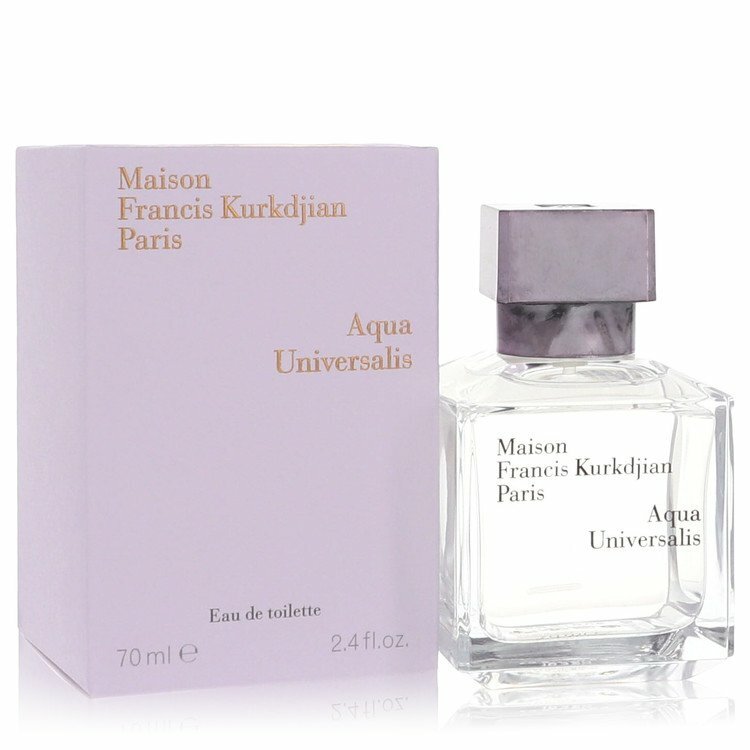 Maison Francis Kurkdjian AQUA UNIVERSALIS Eau de Toilette EDT 10 ml Glass Spray! There are no member images of Aqua Universalis yet. Why not be the first?